We are talking with Milo Kalerta, Founder/Owner of Exmasters - a leading high performance web hosting provider specializing in low cost hosting and dedicated servers. HOSTSEARCH: Milo, thank you very much for an opportunity to talk with you today. Can you please introduce yourself and your company? MILO KALERTA: I'm Milo and I founded Exmasters Web & Server Hosting company in 2001. We were the first web hosting company offering one GB under one dollar, which was unimaginable that time. HOSTSEARCH: Exmasters has been around since 2001 in this very competitive industry. What would you consider as your main strengths to compete with others? MILO KALERTA: From beginning we are focused to sites and high-performance projects consuming a lot of bandwidth (eg. adult sites). 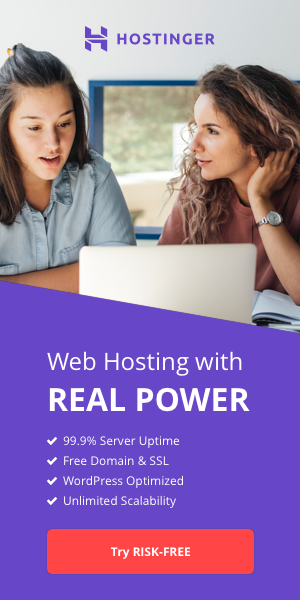 We are also able to fully manage servers of our customers, including tuning of the system and scripts, so even high-performance sites are able to work on low-cost servers without any overloading or other problem. HOSTSEARCH: Could you give us an overview of Exmasters’ s products? MILO KALERTA: We offer wide range of web hosting plans from smallest shared virtuals, to VPS (Virtual Private Servers) which is good compromise between price and performance and also to all ranges of dedicated servers, which is great and affordable solution for most of more demanding sites. We have no problem to customize any plan or prepare pool of more crossconnected servers etc. HOSTSEARCH: What new features has Exmasters added for its customers recently? MILO KALERTA: It's not added yet, but we'll start special CDN service soon. HOSTSEARCH: As you mentioned, you are offering the wide choice of low-cost Virtual Private Servers. Can you tell us more about this? MILO KALERTA: Virtual Private Server (VPS) is a great option for those, who want own server system with root access and all other advantages of a dedicated server, but for much lower price. Another advantage is possibility to upgrade or downgrade any part immediately (CPU, RAM, HD size etc. ), without restart of system or any outage. Currently it's the most popular option and we are trying to extend our offer of VPS plans continually. MILO KALERTA: We are using independent datacenters all over the world. The main one is based in Prague (Europe), North America is the next one, Asia will be added soon. Fast, stable and reliable network is matter of course! HOSTSEARCH: As the data of the customers are valuable, what are the Backup Solutions that you provide to the customers? MILO KALERTA: With all our plans we can enable monthly, weekly, daily or instant backup to our external backup devices and even there it's doubled. Backed up is everything, including data and files, databases, scripts, server settings files. On customer's dedicated servers we use raid system, so even if one hdd fail no any data are lost. HOSTSEARCH: Any plans for expansion? What direction will you be taking for domestic and international? MILO KALERTA: We provide our services internationally since beginning, so we focus mainly to our customers and their needs. I would like to mention technical support and scripts consultation help, which is quite underestimated in this industry. So we are still trying to offer the best technical support, which is friendly and effective, we can also help with any additional software so anyone can feel and know that if any problem will arise, it's solved promptly. 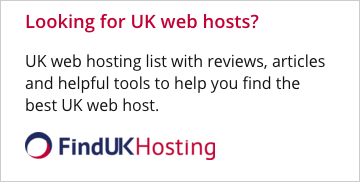 HOSTSEARCH: What can Exmasters do for the customers who wish to switch from their web host to your company? MILO KALERTA: It's very easy - we offer troubles free web hosting solution. It means stable and reliable network, fast and effective technical support, 100% compatibility with all the scripts (we can also install any library or plugin additionaly, including the script itself). Important thing is that we can also move all customer's sites (even a complicated ones) from elsewhere without any outage and without any extra cost! HOSTSEARCH: That’s all for my questions. Thank you again for your time, would you like to add anything in this interview? MILO KALERTA: Thank you. I would like to take opportunity and offer Hostsearch' visitors special deal and offer any of our Virtual shared plan, VPS or a Dedicated server for one week for free! It's valid until end of August.